Physicists and philosophers like to argue thermodynamics, quantum mechanics, and chaos theory have vanquished Pierre-Simon Laplace’s theory of strict causal determinism, thereby restoring our free will. A group of scientists would like to agree, even though they have been working to create Laplacian predictive models. Finding themselves in a Rube Goldbergian death trap programmed with a revolutionary equation that anticipates their every move has dramatically changed their outlook. 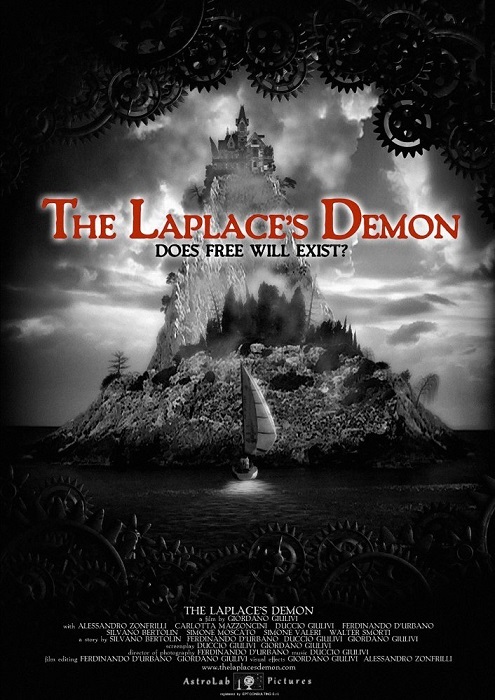 Thanks to science, there is a good chance they’re all doomed in Giordano Giulvi’s The Laplace’s Demon (trailer here), which screens during the 2017 Fantasia International Film Festival. Isaac’s team of scientists have been working on models to predicts how many shards a crystal glass will shatter into when dropped from a table. They have refined it to within a two percent margin of error. Evidently, there host has advanced far beyond them. Frankly, he is not even there anymore. According to the videotape he left behind for them to watch, he just entered them into his fateful formula and programmed the output into his island villa of death. Through computer automization, the absentee host will pick off his guests one by one, because he can calculate exactly where they will be at any given moment. They will even be able to watch it happen in real time through the scale model and pre-programmed chess pieces he left behind, unless they can figure out a way to cheat fate and science. Laplace is a bizarre but wildly distinctive film that represents a quantum leap forward for Giordano Giulvi and his co-screenwriter-co-star Duccio Giulvi from the grungy-goofy Apollo 54. 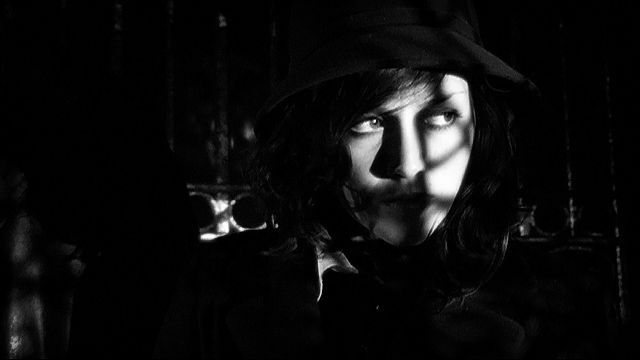 Shot in dramatically stylish black-and-white, it is like a strange puree of Pi, Saw, and And Then There Were None. The film is driven by some heady speculation regarding free will and scientific determinism, but people are still getting killed dead at regular intervals. Arguably, characterization was not this film’s top priority, but Duccio Giulvi and Silvano Bertolin quite effectively establish the film’s two poles, as the unpredictably eccentric Jim Bob and fatalistic Karlheinz, respectively. However, the art and set design, also overseen by G. Giulvi is absolutely crucial to the film’s success. Most people would agree it is hard to pull off human-sized killer chess pieces, but Giulvi manages to do it. The ultimate implications of Laplace are depressingly scary, but unlike the instantly stale The Circle, the overall film is so smart and inventive, we really don’t mind its philosophical upshot. It is a dark and twisted revelation that should absolutely not be missed when it screens tonight (7/21) and Monday (7/24) at this year’s Fantasia.